Finished Dr. Sleep, up next for me? I finished up the last couple chapters of Dr. Sleep This morning; I really enjoyed this story. I was surprised I was able to get it read in a week with the schedule I was juggling, but it is amazing how much you can read when you have a 5 minute space of free time 🙂 I still intend on getting The Shining and reading it as well. Have you finished yet? Up next? 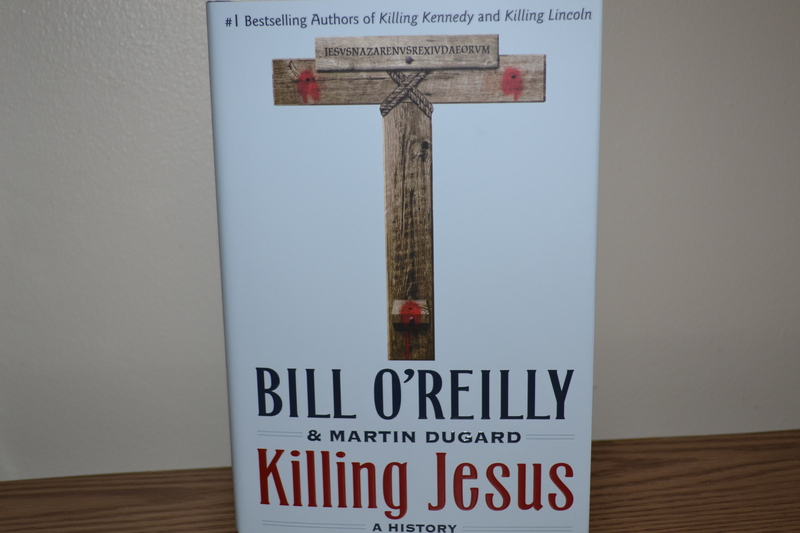 Killing Jesus by Bill O’Reilly and Martin Dugard. I have never read any of Bill’s books before, but have been wanting to read Killing Lincoln, which he penned as well. I am a huge fan of Abraham Lincoln, reasons unknown 🙂 I have admired him since I was a very young child, and that has never changed. I read everything I can find about him (except apparently, Killing Lincoln LOL). I am not a huge watcher of political shows, so although I am familiar with Bill O’Reilly and where he stands, I am curious as to his writing. An interesting fact that a friend told me about the cover of Killing Jesus (pictured here) that had a part in me picking up this book with Dr. Sleep? The picture on the front is not of a crucifix, but instead it is a T, which I wondered about when I saw the cover the first time. The reason for this? I was told it is an accurate depiction, and that when persons were crucified, it was on a T, and not a crucifix. If the person did not die as quickly as planned, on the T, they could easily break his neck and kill him; this could not be accomplished on a crucifix. Although I tend to not talk religion or politics ) I will be posting some updates on this book, how I think it is written, and the things that are covered. Is this book on your bookshelf, and if it is, have you started it yet? My goal; finish this by next weekend. It is about a 1/3 of the size of the last book, so that shouldn’t be an issue. Previous Article Knuckles Deep in Dr. Sleep!